Most people have seen their church, child’s school or favorite nonprofit offer a raffle. You know, buy a ticket for a chance to win a prize? These raffles happen all the time it seems, and they’re always for a good cause – help raise money for a nonprofit (church, school, organization) and maybe get something worth more than you put in. They’re easy to set up, easy to understand, pretty fun, and 100% illegal in South Carolina. Yes, that time you bought a raffle ticket for your granddaughter’s school or your neighbor’s hospital fundraiser, you broke the law. Under SC State law Sections 16-19-10 through 16-19-30, those who host a raffle, sell tickets to a raffle and buy a raffle ticket all are subject to fines and even jail time. The issue, in the eyes of the State, is that according to law, no one but the State itself can manage and offer a lottery. And according to SC Attorney General, raffles carry all components necessary to be deemed a lottery – there is a prize, there is payment of some sort, and the winner is decided by chance. So in the eyes of the law, a raffle is a lottery. This would include raffles in schools, churches, fundraising events and possibly even those “Facebook Raffles” you see online – if you “like” a picture of a product and “share” it on your Facebook, the company will select a random person to win that product. And there are pretty intense penalties for any person involved in a public or private lottery/raffle not hosted by the State. Hosting a raffle? That’ll be a $1,000 fine AND a year in jail. Selling tickets? You’ll have to fork over up to $10,000. And were you guilted by the neighbor’s 5 year old son to buy a raffle ticket for his fundraiser? BOOM – $100 please. Kind of ridiculous right? In many states, charities can hold raffles, but in SC the answer is “no”. Now, we can all agree that a privately organized, full-blown lottery like Mega Millions is not something that should be allowed; and yes, a raffle seems to have all of the components of a lottery – but there’s something inherently different about a nonprofit organization hosting a raffle for charitable purposes – there is a focus on the common good. Raffles aren’t about making a profit. They are meant to make money, but for a nonprofit organization, that money goes right back out to the community in the forms of education, community festivals, food and shelter for the needy, medical needs, and other charitable purposes. First of all, in modern lotteries – which only the State can run – there is a possibility that no one will ever win. If no one has chosen the correct combination of numbers, then there is no prize awarded. Not only this, but once a drawing has taken place, a ticket becomes invalid – even if it were to have the correct combination of numbers for the next drawing, the ticket holder would’ve had to purchase a new ticket. Raffles on the other hand have one of three differences. There is either a limited number of tickets sold, only tickets sold are considered as eligible to win or if the winning ticket-holder is not “present to win” then another ticket is drawn until someone does win. In each case, a winner is guaranteed. The question then becomes, which is really a bigger “gamble” – a lottery where no one might win, or a raffle where someone is guaranteed to win? Secondly and related to the first, a major difference between raffles and lotteries are their time constraints. Not only does Sec 16-19 of SC Law not mention any sort of time limitations as a defining factor of lotteries, but modern lotteries (like the SC Education Lottery) have no time limits. Once a winning number is drawn, no one may have purchased that set of numbers, therefore no one has won the prize and the winnings are rolled over into the next drawing – and you need to buy a new ticket. In theory, the State may never have to pay out the prize money if no one ever picks the right number, yet they will still be able to sell different tickets to each drawing. A lottery has the chance to go on forever. With a raffle, the set date of the raffle is the end of the raffle. No prizes are rolled over to another date, the host doesn’t wait for more tickets to be made or anything like that. Since there are always a limited number of tickets either sold at raffle or put into the “pot”, someone will always win, and the raffle will always have an end time. Lastly, raffles – when associated with a nonprofit – are for charitable purposes. Buying a raffle ticket isn’t “gambling” because even if you don’t win a prize, a sick child, a student, an artist, ultimately the community wins a prize. 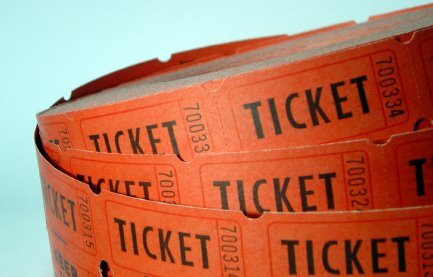 Revenue from raffle tickets should be considered a donation – you’re not losing money when you buy a raffle ticket and don’t win, you’re donating to a worthy cause. While these differences are merely my view point, the nonprofit industry in SC is looking for ways to allow raffles to become legal. Not only have many groups hosted them in the past, without any malicious intent, but raffles are financially pretty successful for nonprofits. Any opportunity that charities have to increase their financial support for their worthy programs, is something the community and government should support. With more financial ability comes better charitable programs. What’s being done? Thanks to the hard work of the SC Association of Nonprofit Organizations (SCANPO), two bills are being introduced in the SC Senate this year. S.213 defines the conditions for raffles to take place legally, but can only go into effect when S.239 is passed. S.239 is a constitutional amendment that would change the current law of the State of SC being the only party to host lotteries to allow for raffles for charitable purposes. Once both bills are approved by the SC Senate and House, the work isn’t done yet. A State constitutional amendment has to be approved by the general population via a public referendum. S.239 would appear on your ballots in the Fall of 2014. As a nonprofit leader and advocate, I would urge you to contact your State Senators and Representatives and ask them to co-sponsor both S.213 and S.239 and to make sure they vote in favor of both this year.